As a special bonus to kick-start the event we are going to be giving away a signed book to every participant who raises $100 by September 7. So get started on your goals this week–aim for that $100. If you reach $100 the first week and $50 each week after that you will have raised $250. That is an attainable goal and it will go a long way to supporting CFF! This event is all about raising money to fight cystic fibrosis by supporting the Cystic Fibrosis Foundation. Along the way we hope to have some fun and help a lot of people set and reach their reading and writing goals. The question has been asked whether donors are sponsoring readers or writers on a per page or per word basis. The answer is definitely not! At one cent per word a donor would be paying $300 to sponsor a writer who succeeds in keeping pace with Debbie Macomber for 30,000 words. It would be lovely to have that $300 and I hope we get some $300, $500 or $1,000 donations. But we aren’t asking for that. Instead we are asking donors to show their support for us and for the CFF by making a simple flat donation. For example, my writing goal is 15,000 words for the month of September. I hope that my friends will donate $10, $25, $50 or any other amount in support of my goal. I’m going to do my best to write those 15,000 words, but if I don’t make CFF will still have those donations. And if I end up writing 20,000 words the donors will not have to pay more. 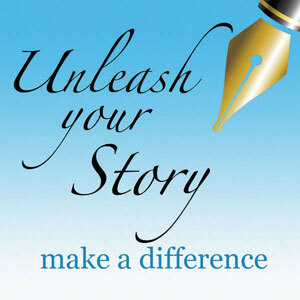 So head on over to the CFF Unleash Your Story page and sign up now. Set your reading or writing goals and encourage your friends to show their support for your goals and for CFF my making a single donation in any amount they choose. Make the event more fun by forming a team. To get your team started, visit out Unleash Your Story event page on the CFF website. Follow the registration link and you’ll be given the option to form a team. News Flash! Debbie sets high goal. I just got word that Debbie Macomber has set her writing goal for the month of September at 30,000 words!! Those of you who plan to keep pace with Debbie will have your work cut out for you! Remember we will be providing a virtual certificate for your website or blog to all of you who do match Debbie’s word count for the month. Remember you can sign up to participate as an individual or as a team at the special Unleash Your Story event page set up by the Cystic Fibrosis Foundation. We have folks signing up to participate and getting their teams together. As writing and page goals are reported to us, we will list participating teams on our team page. Also, watch our prize page. More prizes are still rolling in!! One special prize I’d like to announce now is donated by the authors of Romance Unleashed. We will be donating the complete MP3 of the 2008 RWA National Conference to the RWA Chapter that brings in the most donations. So, if you are an RWA chapter member and would like your total to count for a chapter, be sure to let us know by e-mailing us at info@unleashyourstory.com. If you want to post our bumbersticker on your website or blog to let folks know that you are participating–e-mail us and we will send you the jpeg. Set those goals and register now! It’s time to get your team together, or set your individual goals for our Unleash Your Story event. All you have to do is go to the special Unleash Your Story Event page that the Cystic Fibrosis Foundation has set up for us. Enter your fundraising goal from there. Invite others to join your team, or donate through your page. The CFF website is set up to keep track of your donations. Set your writing or reading goal and e-mail them to us. Send your writing goal to mywords@unleashyourstory.com. 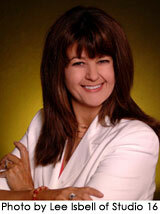 Readers should send your page goal to pages@unleashyourstory.com. Give us a weekly update on your words written and pages read by e-mailing those same addresses.